In the senile population, regular physical activity and reduction of a sedentary lifestyle lead to a series of positive effects. Such as, increased independence in daily activities and personal care, higher self-esteem, a better quality of life, a higher life expectancy and a decrease in mortality. Moreover, physical, psychological, and cognitive functions can also improve. With regards to this notion, the Walking Football (WF) activity was started in England; a sport designed for the needs population segment, who, due to overweight and other typical diseases of old age, has a limited mobility and can only play sports with lowmoderate cardiovascular effort. 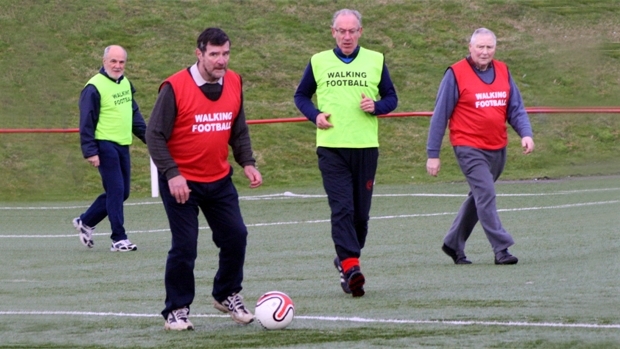 WF is a new sport mainly created for people over 50, i.e. the population diagnosed with chronic degenerative diseases, and the actual increase of obesity gradually cause to abstain from a regular physical activity. The game is played 7 vs. 7 and all players must only walk; running is considered a foul. To avoid sudden movements and reduce the risk of injury, the ball must be always kept on the ground, and slide tackles and an aggressive behavior are prohibited. This sport, a slow variation of football, is considered a low risk sport activity for the low incidence of traumatic events and can be practiced safely because the cardiovascular effort is minimum. WF comes directly from football, which is considered the most popular sport in the world. It is also associated with positive social and motivational factors that may facilitate compliance to the sport, which help maintain a physically active lifestyle. WF is still not widespread in Italy, and our hope is that it can become, in a short time, a reference for the sports designed for the elderly.